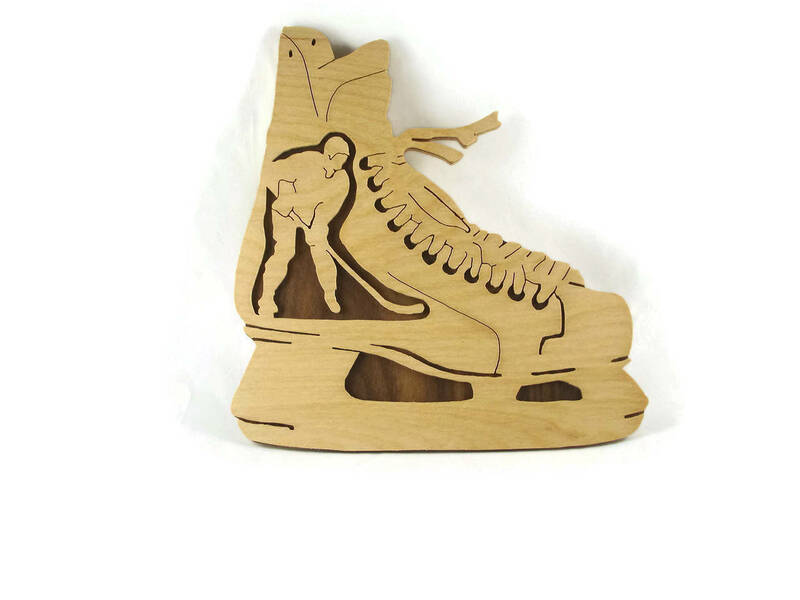 This unique hockey player wall hanging plaque shaped into an ice skate is a great gift idea for the hockey player, coach, or just a fan of ice hockey. 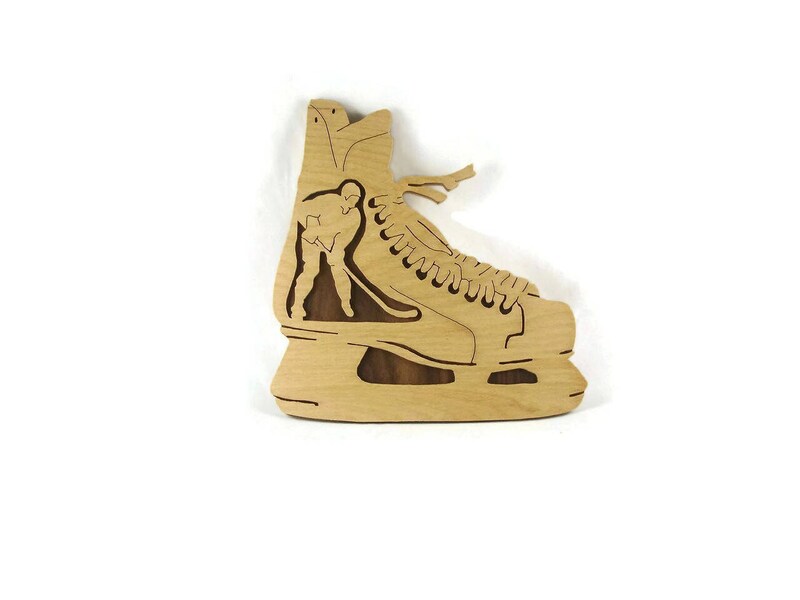 This can be personalized with your favorite team player or coach's name cut out into the ice skate runner at the bottom. Many orders come in for the coach's name for a gift at the end of season for the coach. 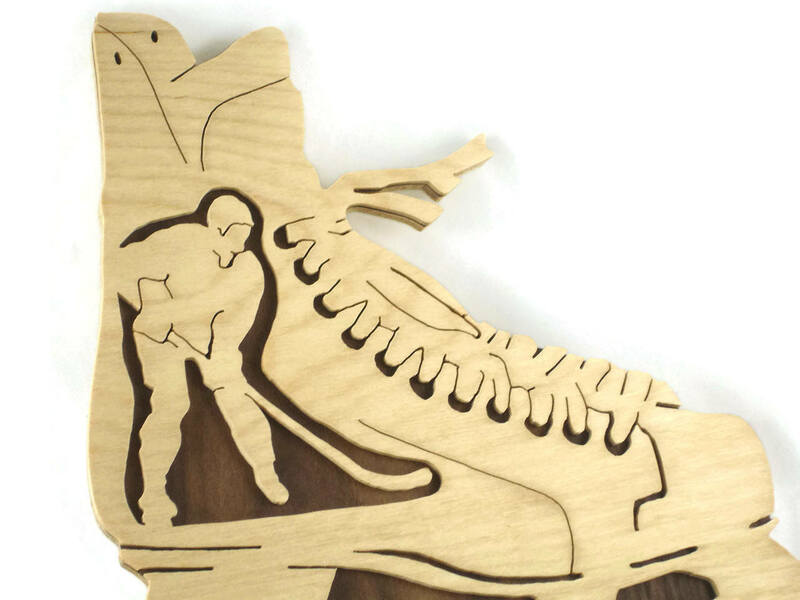 This was cut out by hand on a scrollsaw. 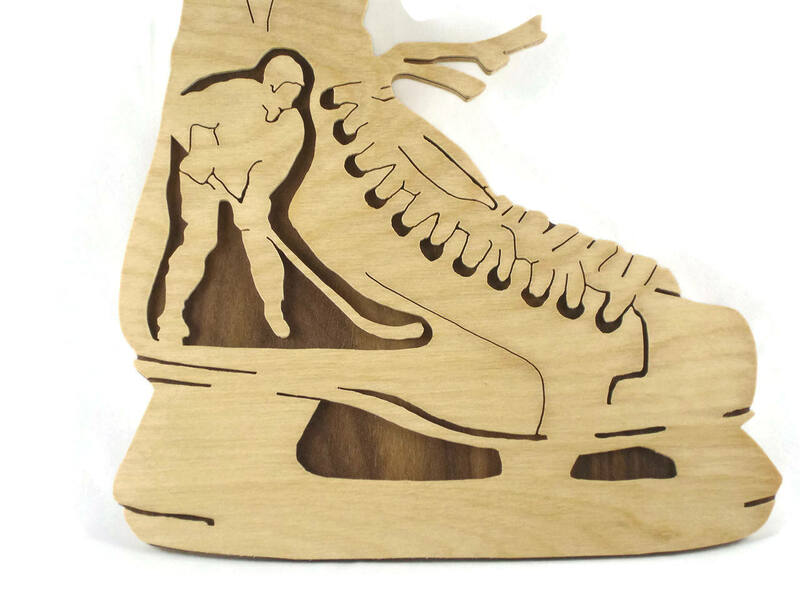 It is made up of two types of plywood, first the lighter color wood 1/8 inch Birch is cut out with the design and then the backer piece is cut out of 1/4 inch Walnut plywood. The two are glued together and finished with a all natural non-toxic bees wax and mineral oil finish. A sawtooth hanger is placed on the back for hanging this on the wall.